The College of St George’s links with the Royal Navy, the Army and the Royal Air Force are both current and form a historic tie with the past. 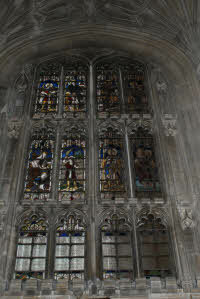 In the North Nave Aisle of St George’s Chapel is a memorial window to pupils of St George’s School who died while serving. 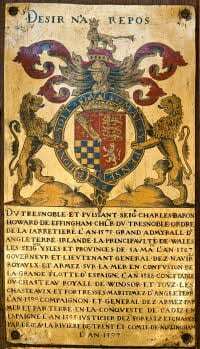 Earlier links with St George’s go back to the founding of the Order of the Garter when the Founder Knights and their successors fought in the wars against France. In the same year as the founding of the Order of the Garter came the formation of the Poor or Alms Knights of Windsor and a book on display in the Nave of St George’s Chapel lists all the Military Knights of Windsor, as they are now known. 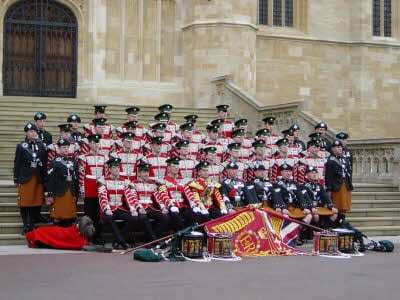 The Military Knights still live within Windsor Castle and some, in addition to their statutory duty to attend Mattins on Sundays in College term, assist the Chapel in a variety of voluntary ways. 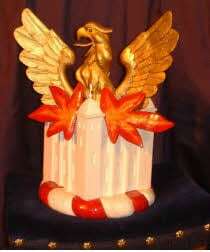 For more information about the Military Knights <click here>. Members of all three Services attend some consultations at St George’s House and a few past pupils of St George’s School are now in the Services. If each Service is taken in turn many links can be found with St George’s. Lord Howard of Effingham, in charge of the Fleet that took on the Spanish Armada, was made a Knight of the Garter in 1575. In the Chapter Library is a magnificent set of 1646 navigation books ‘Dell’arcano del mare’ by Sir Robert Dudley. 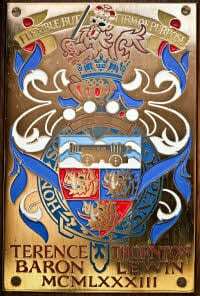 His work includes a proposal for the construction of a navy of five different rates of ship which he described and designed in detail. 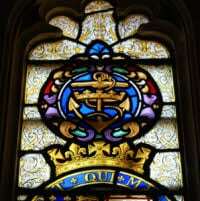 One of the stained glass windows in the South Quire Aisle shows the badge of the Lord High Admiral; it is situated among the windows made by Thomas Willement in the 19th century depicting various Sovereigns. 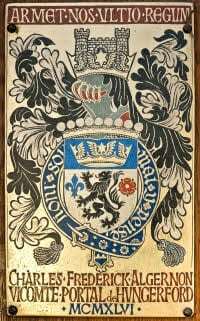 The badge is next to the stained glass picture of James, Duke of York (later King James II) who held the title ‘Lord High Admiral’ from 1660. In more recent times Admiral of the Fleet Lord Lewin was made a Knight of the Garter in 1983; he was Chief of the Defence Staff during the Falklands War of 1982. In the current edition of The Companion is a short article by the Padre of the 1st Battalion Irish Guards. <click here for ‘The Companion’>. The Battalion is stationed at Victoria Barracks, Windsor. They gathered together for a photograph on the west steps of St George’s Chapel in 2008. The photograph shows the Corps of Pipes and Drums of the 1st Battalion with the Colours laid on the drums in front of them. Inside St George’s are many memorials to individuals who served in the Army; one of the larger ones is the cenotaph of The Prince Imperial, son of Emperor Napoleon III, who died whilst serving in the British Army in 1879 during the Zulu wars. Two current Knights of the Garter are Field Marshals. Lord Bramall was installed in 1990 and Lord Inge in 2001. Both served not only as Chief of the General Staff but also as Chief of the Defence Staff (1982-85 and 1994-97 respectively). 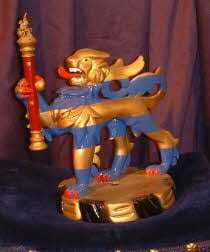 Lord Bramall’s crest shows a lion holding a Field Marshal’s baton; the White Tower in Lord Inge’s crest marks the fact that he held the appointment of Constable of the Tower of London from 1996 until 2001. 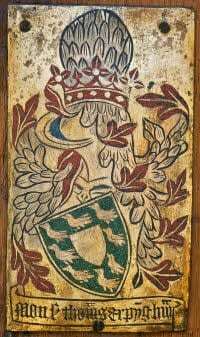 In Lord Bramall’s stall there are stallplates to many previous Knights of the Garter including three other Field Marshals – Sir Gerald Templer, Viscount Alanbrooke and Sir Richard Hull. 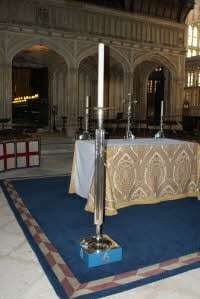 Beside the Altar in the Nave of St George’s Chapel is a pair of candlesticks given by the RAF to The Queen in 1968 to mark the 50th anniversary of the formation of the Royal Air Force. They were designed and made by Leslie Durbin. 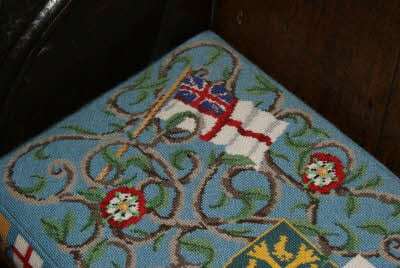 Amongst the many Garter stall plates in the Quire two RAF ones are of note; that of Viscount Portal of Hungerford who was made a Knight of the Garter in 1946 and Lord Elworthy who was installed in 1977. 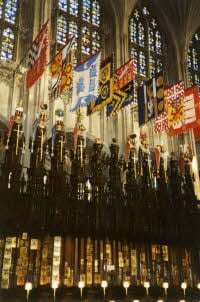 Lord Elworthy’s banner is shown sixth from the left in the 1982 photograph; he was Chief of Defence Staff from 1967 until 1971 and later became Constable & Governor of Windsor Castle. There are many other links with the Services in St George’s whether in the background of some of today’s volunteers, staff and residents, described and depicted on memorials in and around the Chapel or simply part of the College of St George’s 662 year history.